Try this reflexive dog harness with handle. Sizes: XXS-L. Color: black. High vis dog harness is a comfortable dog accessory for dog walking, training, police and dog sport. This nylon dog harness is very durable. Nylon is a strong synthetic material, that is easy stored, cleaned and dried. 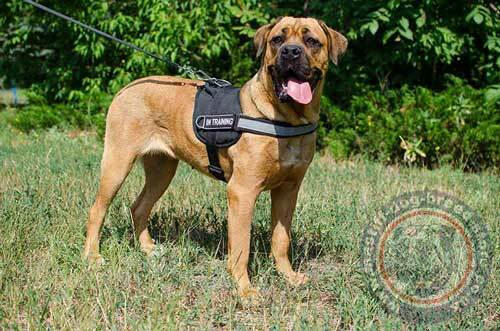 This nylon dog harness is designed to make a dog feel comfortable in active walking and training and help you control your dog. 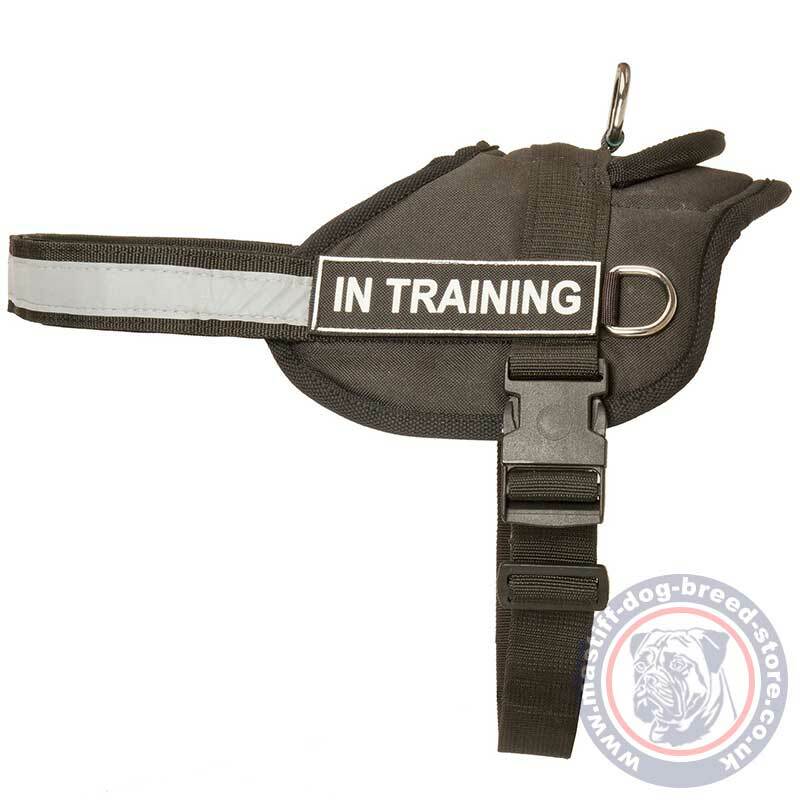 High vis dog harness has a reflexive front strap that helps to see a dog in darkness and in traffic. 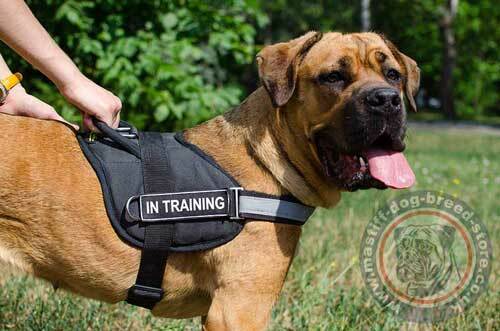 Nylon dog harness for Cane Corso comes with sign patches. Choose the set suitable for your dog. 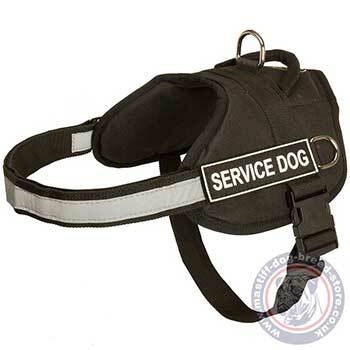 rious signs to specify the service or activity of your dog. 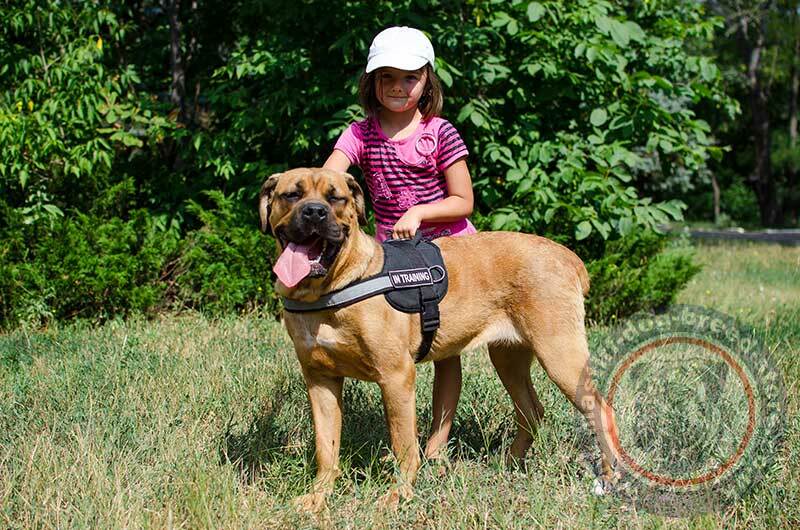 Secure your pet in darkness and traffic with this high vis dog harness for mastiff! 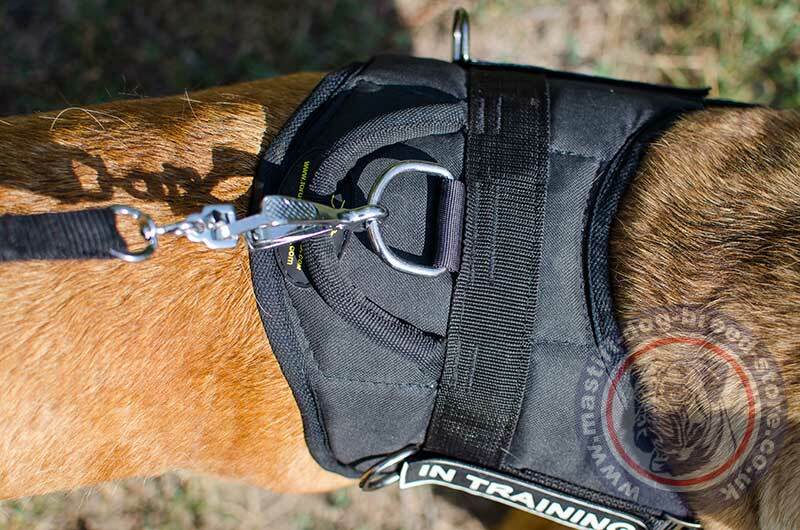 Make Your Dog Feel Comfy!